Friends of Hope Cottage invites you to support Hope Cottage Pregnancy and Adoption Center’s Foster to Adopt program by spending a day of fun in the sun playing sand volleyball. Join us for the sixth annual Serving Hope tournament at Deep Ellum’s Sandbar Cantina and Grill on May 18. You can look forward to great raffle prizes and friendly competition. Come meet other young professionals from around DFW and fight to win the legendary Wilson ball. Friends of Hope is happy to call Sandbar Cantina and Grill home for Serving Hope for our sixth year. 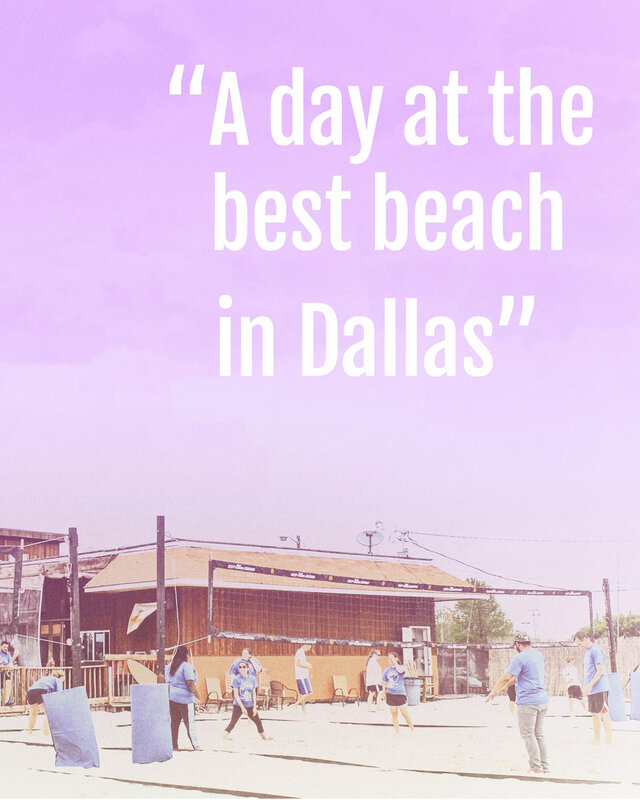 Known as "Beach Ellum," the Sandbar offers sand volleyball, food, drink, and fun in the heart of Dallas. We hope you will join us at this one-of-a-kind venue. We'll see you there.